Dickens, Charles John Huffam (1812-1870), probably the best-known and, to many people, the greatest English novelist of the 19th century. 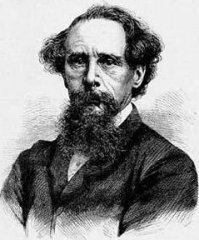 A moralist, satirist, and social reformer, Dickens crafted complex plots and striking characters that capture the panorama of English society. Continue reading Charles Dickens Biography.